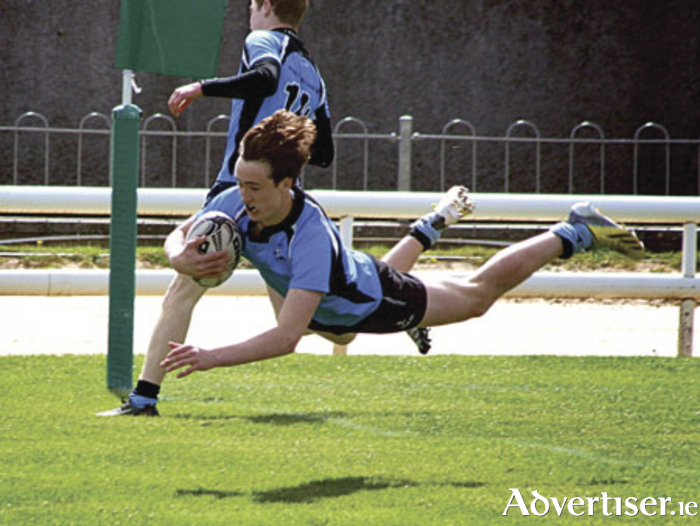 Centre Jonah Cullligan gives Galwegians a flying start in Sunday’s Connacht u-17 Cup decider at the Galway Sportsground. Galwegians u-17s capped a memorable week when adding the Connacht Cup to last weekend’s league trophy victory. The Galway city side saw off Castlebar by 23-7 in their third fixture of the week, having beaten Creggs in the cup semi-final mid week. Centre Jonah Culligan produced two first-half tries, and a third from Hugh Lane gave the Galway side a 15 - 0 lead. Fullback Jasper Byrne added the fourth after the break before Matthew Flynn scored a deserved consolation try for Castlebar on 52 minutes.